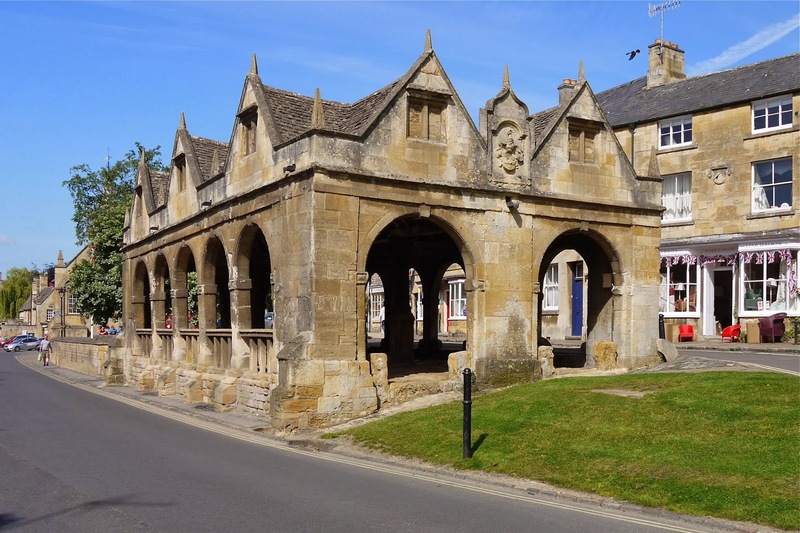 Chipping Campden is one of the loveliest small towns in the Cotswolds and a gilded masterpiece of limestone and craftsmanship. The main street curves in a shallow arc lined with a succession of ancient houses each grafted to the next but each with its own distinctive embellishments. As the name suggests ("Chipping" means market or market place from the old English "Ceping"). 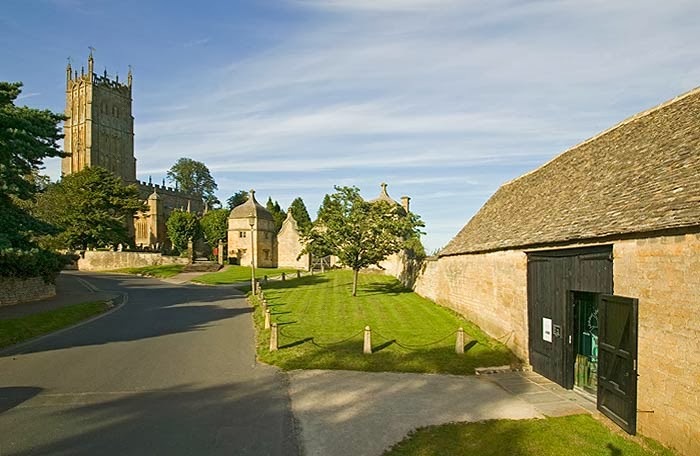 Chipping Campden was one of the most important of the medieval wool towns and famous throughout Europe. This legacy of fame and prosperity is everything that give the town its character. Campden was already established in the 7th century and derives its name from the Saxon "Campa-denu" or "Campadene", meaning a valley with fields or enclosures of cultivated land. Chipping Campden's church, St. James, at the north end of the town, is perhaps, the finest 'wool' church in the Cotswolds, with a magnificent 120ft (36 metre) tower and a very spacious interior. The church is famed for having one of the oldest altar tapestries (pre-reformation) and largest brass in England. The ancient Market Hall was built in 1627 by Sir Baptist Hicks for a cost of £90. It was for the purpose of giving shelter to the local market selling cheese, butter and poultry - not wool as is sometimes thought. movement. C.R. Ashbee set up his Guild of Handicrafts here in 1902. 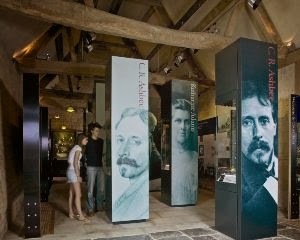 His workshop in the old silk mill in Sheep Street is now a small museum. After lunch we visit Hidcote Arts and Crafts Garden (NT). 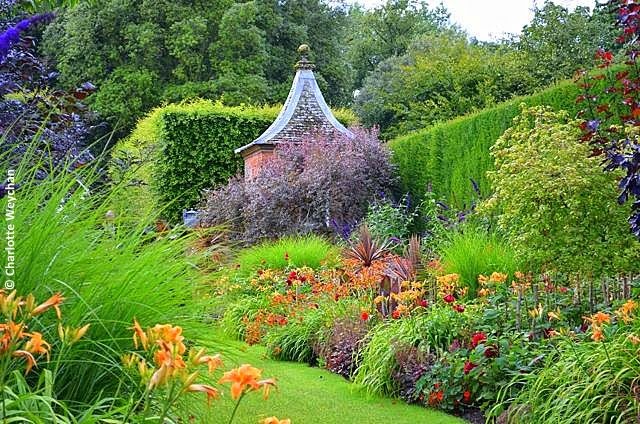 Created by the talented American horticulturist, Major Lawrence Johnston its colourful and intricately designed outdoor ‘rooms’ are always full of surprises. Explore the maze of narrow paved pathways and discover secret gardens, magnificent vistas and plants that burst with colour. Many of the plants found growing in the garden were collected from Johnston’s many plant hunting trips to faraway places. Find a quiet spot and sit on one of the ornate benches and watch green woodpeckers search for their lunch or listen to the calls from the buzzards circling overhead. Hidcote Gardens pdf leaflet here. Click here for map of Pick-Up Points.